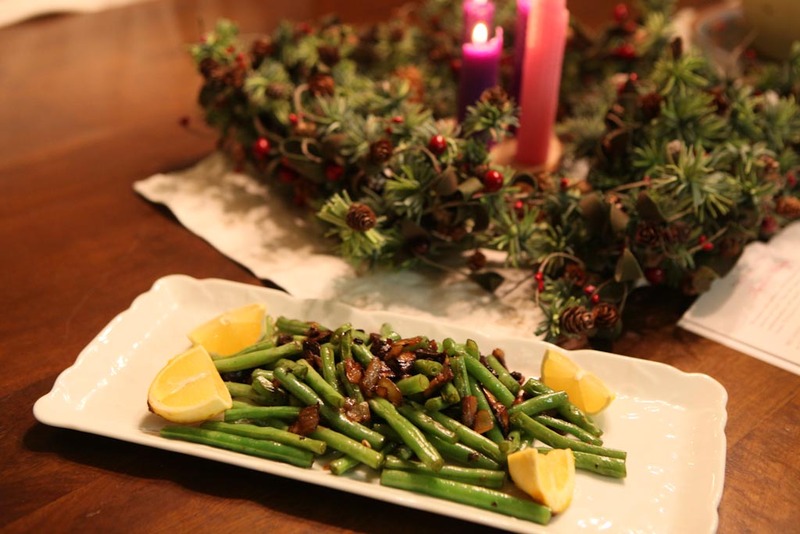 You could, of course, have these anytime, but during the holiday season is when they regularly appear at our table. 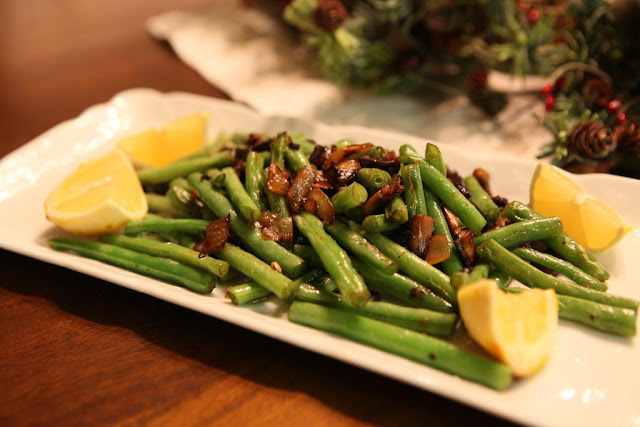 I prefer to use fresh green beans when I can, and this simple dish adds a bit of freshness to what can sometimes be heavy and hearty winter meals. 1. Saute the onions and garlic (and mushrooms if using) in butter/oil over medium heat, until softened and starting to brown. 3. Add salt and pepper (and herbs if using). 4. Remove from heat and add lemon juice. Oh MY, those look divine!! My mouth is watering! I'm thinking I'm a little starved for my fresh vege dinners. They sound lovely Jaime...i need to get more creative with our vegies...thanks for the inspiration as always!! I am copying down this recipe right now. Looks and sounds wonderful.